The Ashley Ameya Pouf is a cotton-covered pouf, which is a natural fit for your space. It simply wows with its artisan weave and rich medley of sophisticated earth tones. The pouf has a polyesterene bead filling and a recycled cotton cover cover with zipper closure. The Ameya Pouf A1000419 has many exciting features for users of all types. 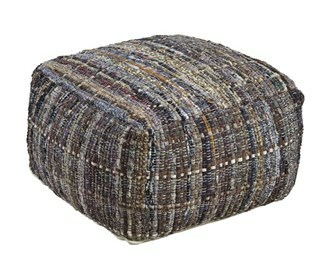 See the Ameya Pouf A1000419 gallery images above for more product views. The Ameya Pouf A1000419 is sold as a Brand New Unopened Item.